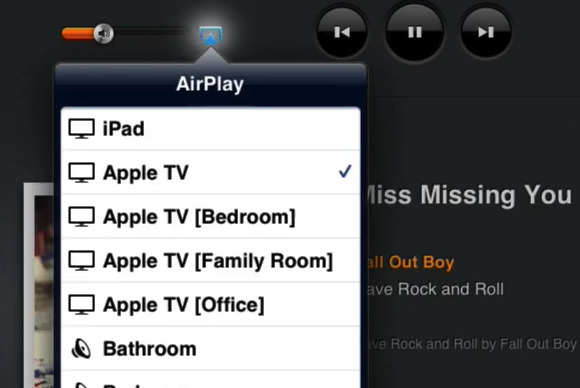 AirPlay is Apple’s technology for streaming audio or video over a local network. This week’s Macworld video gives you a quick look at the most common AirPlay setups and how to configure and use them. I’m Macworld Senior Editor Dan Frakes. AirPlay is Apple’s technology for streaming media over a local network. Specifically, it lets you stream audio from any Mac or iOS device to any AirPlay-enabled audio system, or video from an iOS device or recent Mac to an Apple TV. AirPlay works over any modern ethernet or Wi-Fi network—The sending and receiving devices just need to be compatible with AirPlay. Here’s a quick look at the most common AirPlay setups and how to configure them. (For a comprehensive look at setup and use, check out our full article on getting started with AirPlay.) I’m assuming here that your devices are already connected to a local network. Before you can use AirPlay, you need to configure your AirPlay receiver: a speaker or audio receiver with AirPlay built-in, an AirPort Express base station, or an Apple TV. Many recent AirPlay-enabled speakers are simple to set up: For Wi-Fi, just use your iOS device’s USB-sync cable to connect the speaker to your iPad, iPhone, or iPod touch. A dialog on the device’s screen asks if you want to share your network settings with the speaker; tap Allow, and the speaker is automatically configured to join your network. Ethernet is even easier: You just connect an ethernet cable to the speaker. For an AirPort Express that’s already on your network, you launch AirPort Utility, select the Express, and then click Edit. Next, click the AirPlay tab, check the Enable AirPlay box and give the Express a descriptive name; you can also enable an access password. Click Update to save your changes. To enable AirPlay on your Apple TV, navigate to the Settings screen, select AirPlay, and then make sure that the AirPlay is set to On. For security, you can optionally configure either an onscreen code or a traditional password. Streaming audio over AirPlay is easy. On your Mac, you can stream iTunes audio by clicking the AirPlay button next to the volume slider in iTunes, and then choosing the desired AirPort destination. To send audio to multiple AirPlay-equipped devices simultaneously, click Multiple and then select the speakers you want to stream to; you can control the volume level of each speaker independently in this menu. 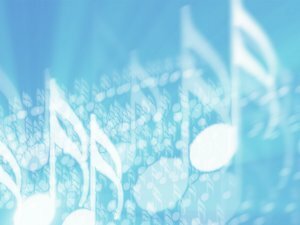 You’ll need third-party software to stream audio from a specific Mac app other than iTunes. Rogue Amoeba’s Airfoil for Mac lets you stream audio from any currently running app to the AirPlay destination(s) of your choosing. If you’re running OS X 10.8 Mountain Lion, you can stream all of your Mac’s audio by opening the Sound pane of System Preferences, switching to the Output screen, and then selecting your AirPlay destination in the list. Alternatively, you can hold down the Option key and click the systemwide volume icon in the menu bar, then choose your AirPlay destination under Output Device. You have similar options for streaming audio from iOS devices. To stream all of your device’s audio, double-press the Home button to access the task switcher, and then swipe to the right until you reach the volume slider; next to the slider is the iOS AirPlay button. Tap it, and then tap the desired AirPlay destination. To stream audio from just a specific app, that app must provide an AirPlay-selection button within the app. If it does, just tap it to see the same list of all AirPlay receivers on your local network; tap one to stream to it. Note that unlike on a Mac, iOS can stream to only a single AirPlay destination at a time. Streaming video from iOS to a recent Apple TV works much like streaming audio. To mirror a recent iOS device’s screen on your TV, again press the Home button to access the task switcher, and swipe to get to the AirPlay button. Tap the button, choose the desired Apple TV, and switch the Mirroring option to On. Streaming video from iTunes on a Mac is similarly simple: Just click the AirPlay button in the video-playback window, and choose an Apple TV. If you want to stream video that’s not in iTunes, you can use the third-party utility Beamer: Choose your Apple TV as the destination, drop any supported video file onto Beamer, and you’re done. Mirroring all your Mac’s video on your TV—meaning anything and everything on your Mac’s screen shows up on your TV, as well—works only under OS X 10.8 Mountain Lion on very recent Macs. There are two ways to configure AirPlay mirroring: in the Displays pane of System Preferences or using the AirPlay Mirroring menu. The latter shows up whenever OS X detects a compatible Apple TV on your local network: Choose your Apple TV to start mirroring. You can also tweak the output resolution to choose the best for your TV or the best for your Mac. Whichever type of streaming you’re doing, with whichever device, you can stop streaming by using the same AirPlay control or menu through which you originally started streaming. Alternatively, if you’re streaming from a particular app, quitting that app usually stops streaming. When streaming to an Apple TV, you can also stop AirPlay streaming by pressing the Menu button on the Apple TV’s remote.